South Carolina: A music minister in Greenwood is accused of groping the breast of a 13-year-old girl, according to Greenwood police. 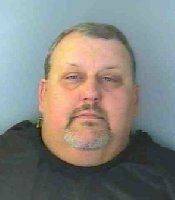 Norman Henley Keesee, 57, is charged with committing a lewd act on a child. Keesee is an associate pastor and minister of music at Emerald Baptist Church in Greenwood. According to incident reports, the girl told police that she was filing paper for Keesee at the church, when he walked up behind her, reached under her shirt and grabbed her breast. She said that Keesee also grabbed her breast during a piano lesson two months earlier but said nothing about it at the time, the report said.